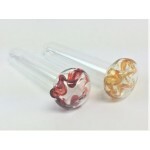 These assorted 8.5 Inches long Pipes fuse the comfort and charm. 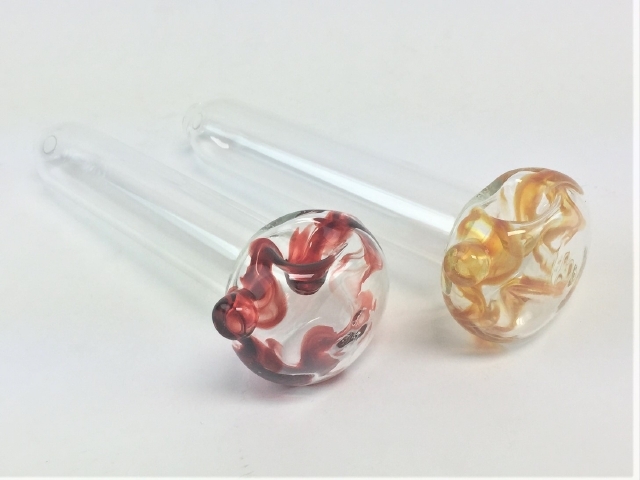 A generous bowl allows you to pack more than an ample amount of herb for even the most seasoned smoker. 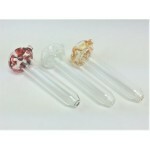 These assorted 8.5 Inches long Pipes fuse the comfort and charm. A generous bowl allows you to pack more than an ample amount of herb for even the most seasoned smoker. 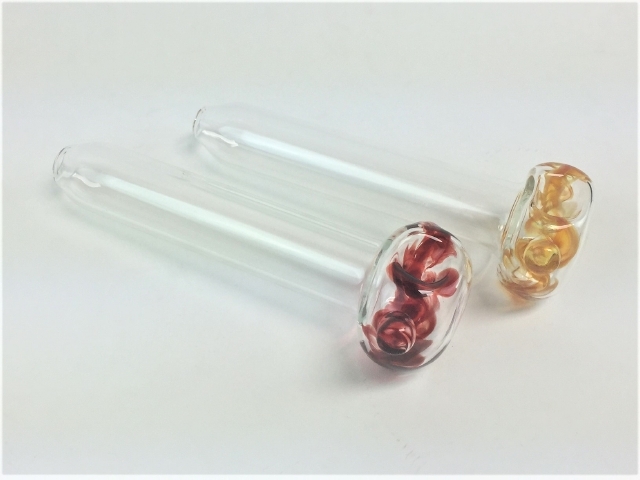 Smooth high quality borosilicate glass is carefully fashioned into these inconspicuous hand pipes. 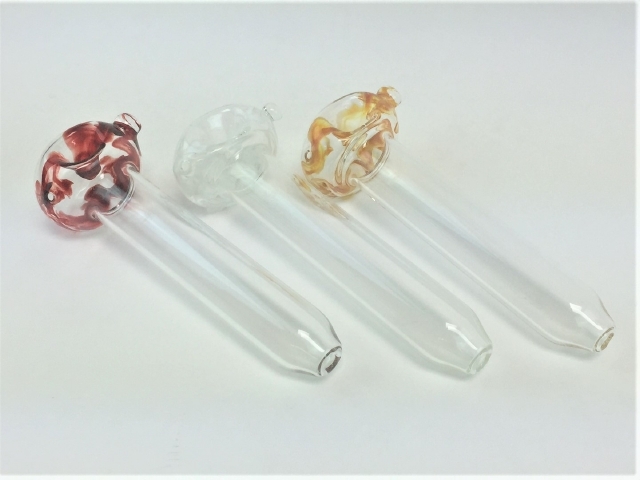 You can trust that these pipe were crafted right here in the U.S.A.
4.85 inches, 165GM Heavy Marbal Head and Assorted Color Spiral Hand Pipe..